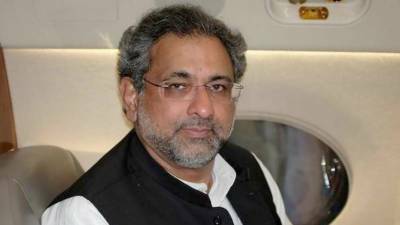 Karachi (Staffa Report): Prime Minister Shahid Khaqan Abbasi reached Karachi today on a one-day to inaugurate the Pakistan International Bulk Terminal at Port Qasim. Chief Minister Sindh Murad Ali Shah and Governor Mohammad Zubair received him. According to Governor House Spokesman, the premier will be briefed on the Pakistan gas port consortium of the Fauji Oil Terminal & Distribution Limited. The PM will be apprised of all development projects run by governor house in cooperation with the federal government, the spokesmaninformed. He will also meet the officials of the Pakistan Stock Exchange, and will be briefed on the four-year performance of the index. PM reached Karachi on his third visit to the city. He announced a Rs25 billion development package on his first visit on August 12 for the metropolis and a Rs5bn package for Hyderabad during the current fiscal year. On August 27, the PM visited Karachi again and inaugurated Liquified Natural Gas (LNG) Terminal Two at Port Qasim.